ADBIS 2015 is now wrapped up. Thanks to all the speakers, attendees, volunteers and sponsors who made such an awesome ADBIS conference on Advances in Databases and Information Systems happen. Check out the photos from flickr. ADBIS conferences aim to provide a forum where researchers and practitioners in the fields of databases and information system can interact, exchange ideas and disseminate their accomplishments and visions. Inaugurated 19 years ago, ADBIS originally included communities from Central and Eastern Europe, however, throughout its lifetime it has spread and grown to include participants from many other countries throughout the world. 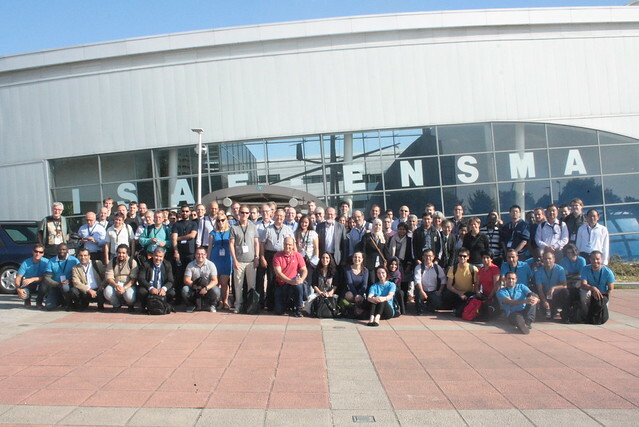 The ADBIS 2015 conference will be held in Futuroscope/Poitiers in France, September 8-11, 2015 and will continue the tradition by fostering the growth and providing a platform for researchers and practitioners to present their result. Organizer of the conference is LIAS/ISAE-ENSMA - Laboratory of Computer Science and Automatic Control for Systems. The conference will consist of regular sessions with technical contributions (regular papers, short papers) reviewed and selected by an international program committee, as well as of invited talks and tutorials presented by leading scientists. The official language of the conference will be English. Doctoral consortium and different Workshops will be held in line with the main conference. Best Papers of the Main Conference will be invited for submission in Special Issues of the following journals (both ISI-indexed Journals). Best papers of the Workshops will be invited for submission in special issues of the following Journal. Poitiers, a warm and lively city with many narrow alleyways situated around its historic university, one of the oldest in Europe. It is a favorite stopover for romanesque art lovers who are able to find many different reasons to stroll around and discover the town. In the north, across the Clain Valley, sports fans will be just as delighted with the lake at St-Cyr and the International Welcome Centre which includes a wide variety of sports and leisure activities. Just outside Poitiers on a great green plain, futuristic shapes puncture the skyline. It's as if all the far-fetched settings from the science fiction movies have been beamed down to earth. These are the pavilions of Futuroscope and what goes on inside them can be breath-taking. You can experience the magic of massive 3D cinema, virtual reality simulator rides and the latest in communication technologies. There are 22 of the world's largest and most exciting visual presentations, ranging from classics like Mount Everest and The Grand Canyon to the very latest in dynamic entertainement (http://www.futuroscope.com). For questions concerning ADBIS 2015, contact ADBIS 2015 Support (adbis2015@ensma.fr).